I mean because of its popularity it is one of the hotspot for attacker these days.So,I thought of sharing few security tips with my readers,for that the apps we need to work with will be functional on certain criteria that is we need to have root access on the device.Before going into the security part of it I would like to give my readers a basic idea about rooting. What is Rooting in Android? "Root" as you all may be knowing is related to Linux and it is analogous to administrator in Windows.So rooting an Android device means we get the full access and freedom on the functionality of the device,in windows language we can say we have the admininstrative previlage.So,the process by which we get the root access/previlage is called "Rooting". 2. Make your device fast to your wish. 4. Use the OS version of your choice. Disclaimer: Root may cancel/void your warranty.Carry out the process at your own risk,the author will not be held responsible for any damage caused to your device. Instead of giving a detailed tutorial I will cover the basic overview of how this is exactly done and the tools and software associated with it.Here it is worth mentioning that all the android based devices do not have excatly the same rooting procedure.So,here I have listed out all the possible methods. Note:Install Microsoft .Net Framework version 2.0 or greater. Enable USB debugging in device settings. Need USB drivers for your device and install it. 1.Rooting Android devices with SuperOneClick. 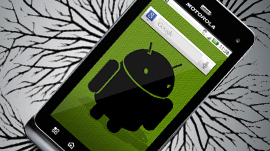 3.Rooting Android devices with Z4Root. 5.Rooting Android device using Easy Root. If the above mentioned methods are not compatible with your device then you may try this method.This method is mostly used for HTC devices.You may download Unrevoker here. A Reference of how to "Root a HTC wildfire(Video Tutorial)". You may need the below mentioned help before working with Unrevoker. * Need to find the HBOOT version,as we may need it. 7.Rooting Android 2.3 Gingerbread devices with GingerBreak. If the Android is 2.3 then no need to downgrade it to 2.2 and start rooting,you may see if your device is compatible with GingerBreak exploit.Follow the reference here as this may help you carry out the steps. After you are done with rooting then you may install the desired OS version and add your custom ROM. Thanx for recommending GingerBreak. Because I don't want to downgrade my 2.3. The only question is - where do I check the compatibility? Just Google it? Hi this good blog about the android you have good 7 points to android users . Hi, thanks for the helpful article. If I root my HTC Desire (which is currently running Android 2.2) will I be able to safely update to Gingerbread when it becomes available for my device? Or should I wait to update before I root it? Rooting an android device does not mean to update the OS it support...but you can get full control on the device as I mentioned in the post. Yes you can find it through Google....or you can follow the links provided in the post. I've been thinking about rooting my Incredible for some time. Still kinda nervous about it. It would be far to costly if I somehow messed it up. I'm looking forward to the next post, about how rooting can help me add up different apps of my choice. I love maximizing my android phone to the fullest. I learned a lot of things in this article. Just followed these steps and my android is rooted. Thanks! I like that you took the time to explain this properly. I've read some other tutorials and they were not so explicit. im planning to buy my first android next week. Being an android phone user myself, this would be a great help to heighten the security of my smartphone. Thank you so much! My question is same where can I check the compatibility. Now, I can tighten up my smartphone security. As a beginner, your article is very helpful and worth my time reading. Thumbs up! I call this highly informative post concern to Android Rooting. As rooting is very much useful as it gives us super access means complete access. Thanks a lot for your hard work for us behind this. Thanks a lot for This nice introduction. It helped me a lot. Ever since HTC pulled out of the Windows Mobile market (now Droid based), I've not been able to find a phone for a mobile professional with these features. I've heard that Android phones tend to crash a lot more than iphones. Whats your take on that? I just read Steve Job's biography and thought there were some interesting points in their about the Android being sued and possible copyright infringement. Anyone think Apple will actually win though? I had an Android and hated it. Switched to iPhone and now my life seems so much easier and complete. Better user interface, apps, etc. Has read, very interesting. I think shortly to get to myself the pocket computer. As till now I use for the present a usual telephone. A good article, I enjoyed reading, things simplified. Thank you for sharing this article and sharing a useful information. Good luck for the next blog. I've been using an Android phone for about 3 months and have never done rooting for my phone. But after reading this article, I was interested to try it on my Android phone. Thank you for sharing this valuable information. It is very helpful and interesting. thank you for sharing this article. It is very useful. Very nice post. I am an android user. But i have not any information about rooting. Thanks for sharing the post because now I think that i have to learn some more about it. Now a days Android OS is popular all around the world for the reason of user-friendly. Your article had given us some important information. It had proved useful for us. Your article is nice and interesting. Thanks for sharing this article with us. Your article is good and interesting. It has helped me a lot to gain knowledge about something new. Simple and excellent article, i always try you mention all methods but no one help me, how to root my sony xperia e?? kindly tell it briefly? ?